In this video, I'll show you how to quickly assemble the new red rubber CLING stamps and store them in a way that makes it easier to remove them from your storage case later. They are extra sticky, so you may need to run a tool such as the flat attachment of the Take Your Pick tool under the stamp to loosen it on occasion. 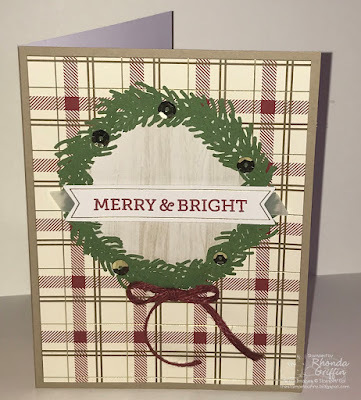 The November Paper Pumpkin kit made such cute wreath cards! I wanted to wait to show them until most of my customers had received their cards, so everyone wouldn't have already seen it. 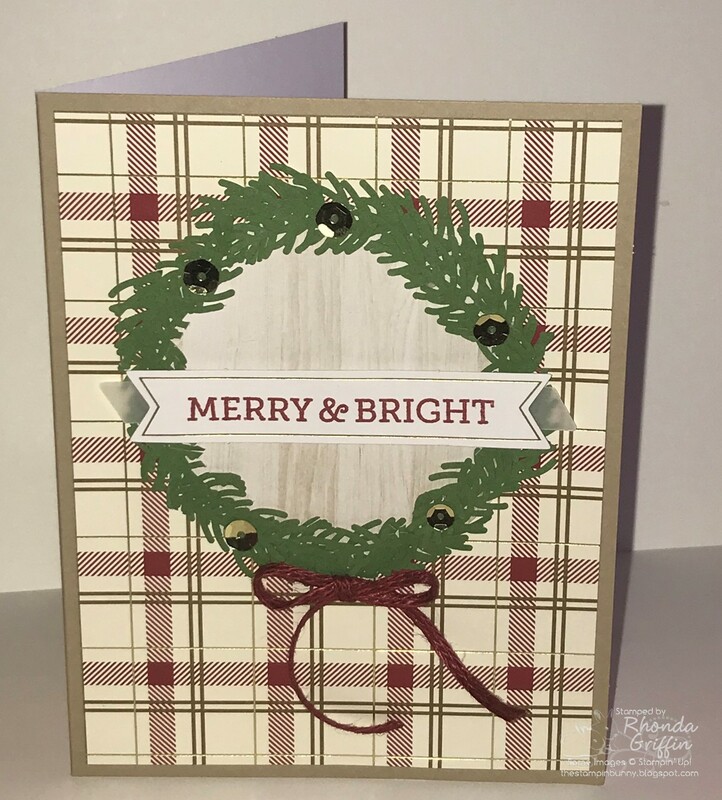 I hope your Christmas is Merry and Bright and that you are ready to see new items from the Occasions catalog soon! More is More Monday Quick Tags! Make them to MATCH your paper! 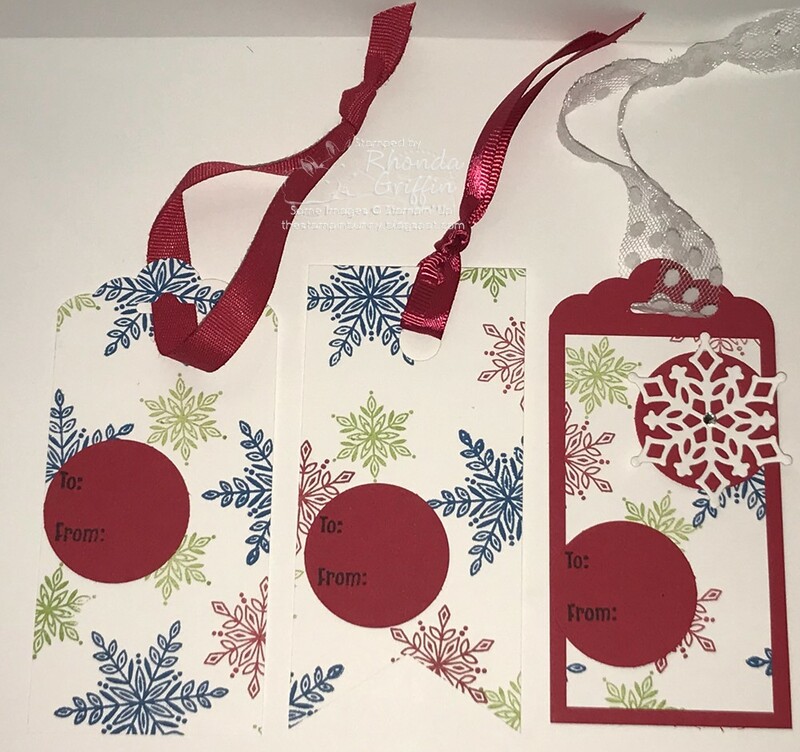 The quick tag we made yesterday is enhanced today with either the Scalloped Tag Topper punch or Triple Banner punch and matching ribbon. Or go "all out" and cut down the 4-1/4" X 2" stamped layer to 1-3/4" X 3-1/4", and layer the snowflakes onto a 4-1/4 X 2 inch piece of Real Red Cardstock that you've punched with the Scalloped Tag Topper Punch. Add a snowflake matted on Real Red and a contrasting ribbon for a fun mod tag. A tiny rhinestone in the center finished the still rather simple tag. Year End Closeout While Supplies Last and SALE!